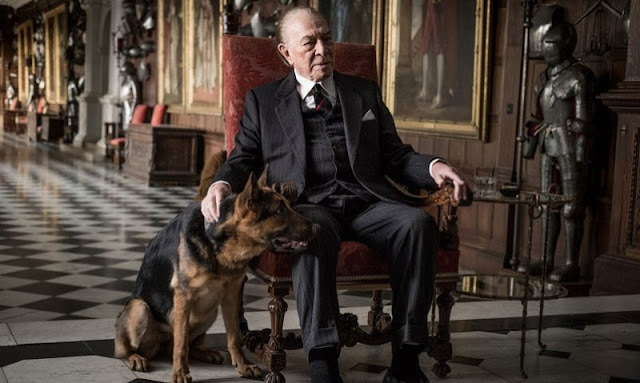 The Story: The story of the kidnapping of 16-year-old John Paul Getty III and the desperate attempt by his devoted mother to convince his billionaire grandfather Jean Paul Getty to pay the ransom. Let me get this out of the way right now. Never mind all the controversy about Kevin Spacey's personal life, I thought his casting was weird from the first time I saw the trailer for this movie. It's unfortunate how things went down, but I'm so glad Christopher Plummer was brought in as a replacement to play the eccentric billionaire, Jean Paul Getty. His performance was fantastic and he should have been there in the first place. We also get yet another great performance from Michelle Williams who takes full advantage of every moment she has on screen and comes away with some really powerful stuff. This story is based on the 1995 book Painfully Rich: the Outrageous Fortunes and Misfortunes of the Heirs of J. Paul Getty by John Pearson and details the struggles of Getty's daughter in law Abigail Harris to rescue her son from kidnappers. 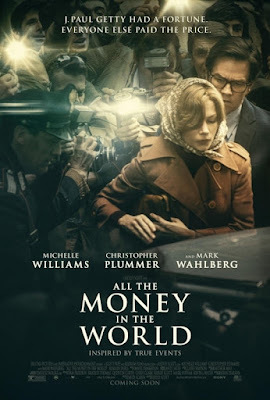 Unwilling to pay the ransom ,Getty instead sends his head of security and negotiator Fletcher Chase, played by Mark Wahlberg to find a way to get his grandson back. Wahlberg gives a strong performance and his take on the character reminds me of the sharp witted Dignam character from The Departed although not nearly as brash or profane. 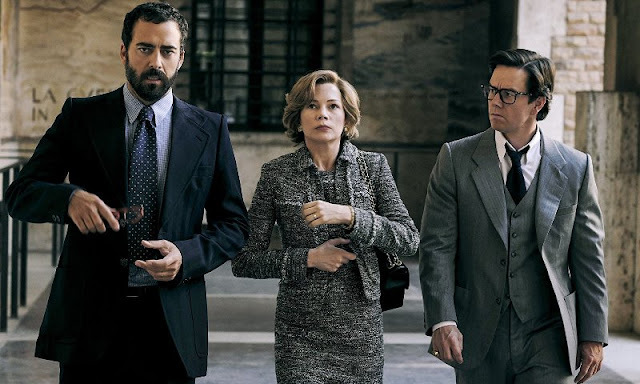 All the Money in the World is an acting showcase wrapped around a gripping historical thriller. Even with unexpected, last minute re-shoots, director Ridley Scott gives us one of his best efforts in years.